Drywall is a product that can damage, though how easily it can be damaged will depend on the quality of the drywall. Before any painting task, repairing damaged drywall is crucial in order to create a professional looking job. If you are hiring a professional commercial painting contractor in Braselton or anywhere in Metro Atlanta, GA, make sure that you find someone that can handle this type of task. Otherwise, you will need to know how to repair damaged drywall yourself. 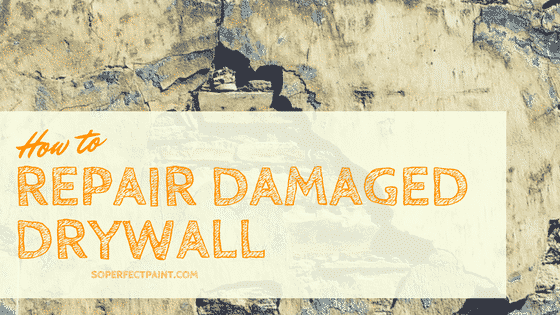 This will help you go through the process of repairing any damage to your drywall. This process can be pretty easy or quite complicated depending on the type of repair that is needed to the drywall. For simple holes, like ones that have been caused by nails or pushpins, a simple slap of spackle is all that is needed to repair it. Just put some in the hole and sand it down to make it even with the wall according to the manufacturer’s instructions, typically around 24 hours. If you have a larger hole, like one that is typically caused by a door knob, your best bet is to purchase a drywall patch kit. These kits come with a mess patch that you can place over the wall along with a joint compound to smooth over the area. You may need to apply more than one coat to this area. Once it has dried, you will sand it to make it even with the rest of the wall. If you have holes that are large than these, this can be a bit more difficult to do. You should clean the hole with a blade knife, getting rid of any excess area while widening the exterior of the hole. This is going to help you to better repair the hole. From there, you will need to be sure that you have drywall to create a drywall patch, a box cutter or similar utility knife, and joint compound. You will cut the drywall to be slightly larger than the hole. You will then score the back of the drywall and peel back everything except the gypsum layer. This is necessary to hold the drywall patch in place. Apply the joint compound alongside the paper and place the patch against the hole. When this has patched up the hole, apply the joint compound to complete the patching process. This may require a second layer to work. After it has dried, carefully sand it down to be even with the rest of the wall. Here at SPPI, we have many decades of experience painting both commercial and residential locations both big and small. We help to ensure that the surfaces are scraped and sanded down before we start our job, a task that is included in our quote. This is because these are tasks that are essential to creating a perfect paint job. If you are looking for professional painting services by a top company, contact us today for more information or if you have inquiries. For quick painting estimates for your homes and offices, just fill in the form to your right.